Dynamic and versatile, igloo habitat & architecture magazine proposes a coherent speech about contemporary culture, in a generous graphic format. In its pages, the latest news in architecture, urbanism, design and urban culture are accompanied by well documented studies about built heritage and critical essays. 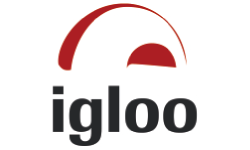 Addressing to a specialized public, students, and generally, to those who are passionate about architecture and design, Igloo deserves to occupy a place next to the most famous publications from this field in the world.